This is the first time that I’m posting in this series since I became a published author! 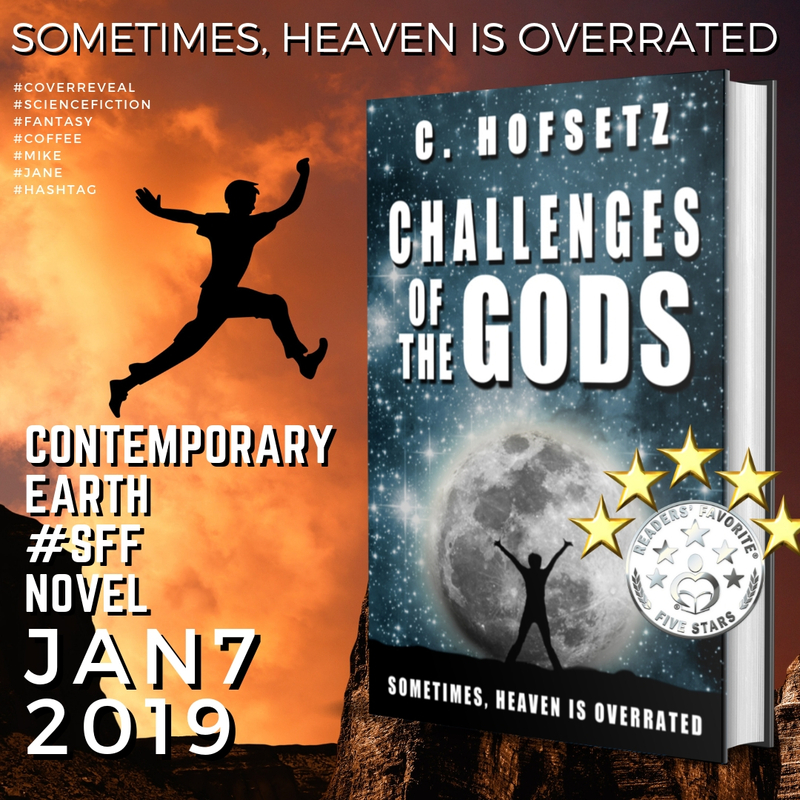 My debut Science Fiction and Fantasy novel Challenges of the Gods is getting great reviews. If you like my writing style, please check it out! 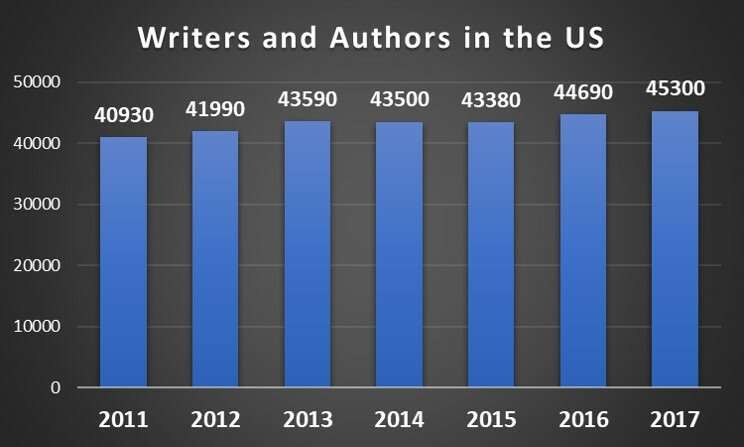 In 2017, I began analyzing literary agents open for queries in the United States. It became an annual series divided into two posts: Genres & Genders. 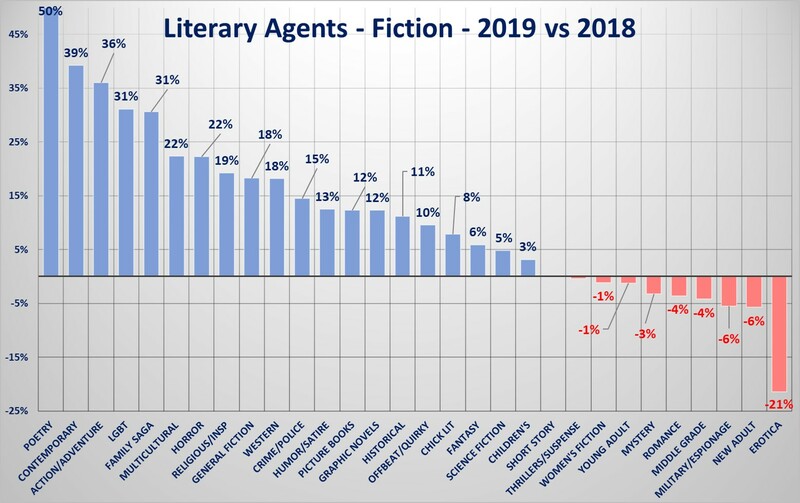 This is the 2019 Literary Agent Analysis – Genre Edition. So, without further ado, here are the 2019 numbers. As I already said, the data used here is from querytracker.net, which is an awesome site to track how many agents encourage you to continue submitting your manuscript. 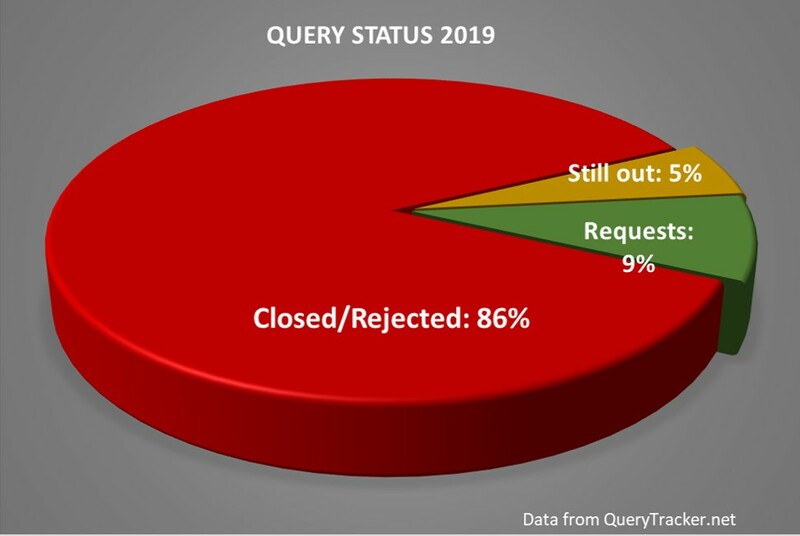 If you ignore the queries that are still out, about 8.5% of them result in requests (partial or full). And requests are far from a guarantee of representation. 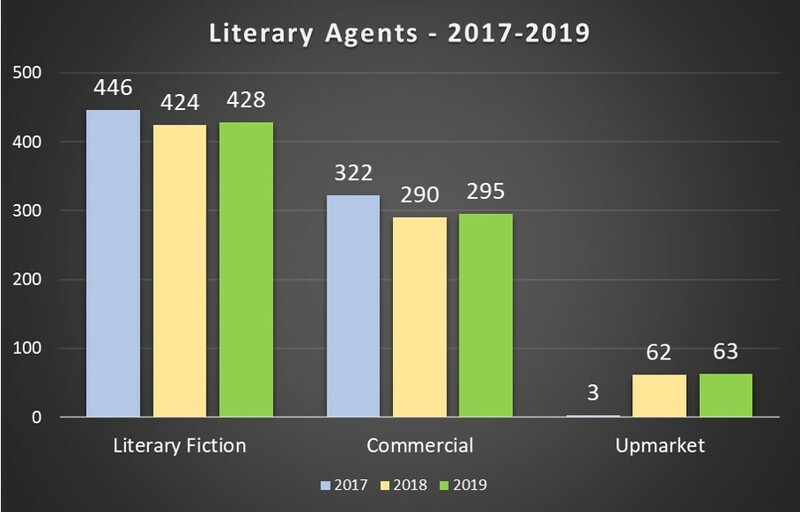 Note that there isn’t a significant change for Literary Fiction, Commercial, and Upmarket since 2018. Agents are often open to multiple genres. So if one is accepting Young Adult and Thrillers/Suspense, he or she is included in both. Also, I’m highlighting Science Fiction in most charts since my awesome debut novel is Science Fiction and I’m selfish like that. 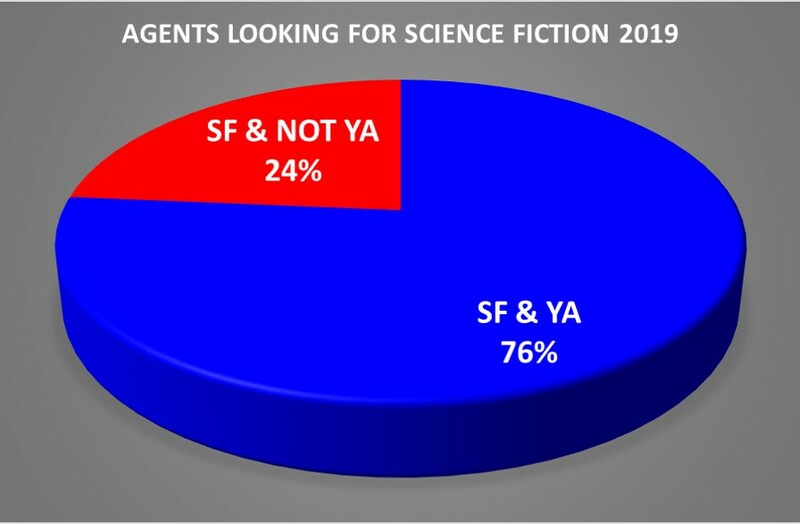 Romance and Science Fiction, with at least 30% more agents looking for them. Military/Espionage, Western, Erotica, and Poetry are at the bottom. Action/Adventure, Short Story, New Adult and Religious are not doing so well. I feel bad for you if you write poetry. There’s only three agents in the database that’s looking for it. Still, it’s one more than in 2018. 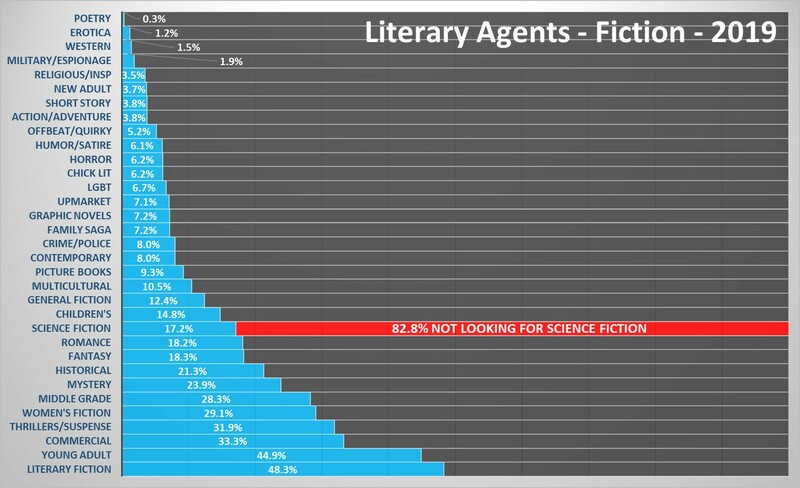 In fact, even if you write for the most popular genres, your pool of agents is below 50%. Only 48.3% of agents open for queries are looking for Young Adult. Genres such as Fantasy (18.3%) and Science Fiction (17.2%) fare even worse. Still, these numbers don’t tell the whole story. 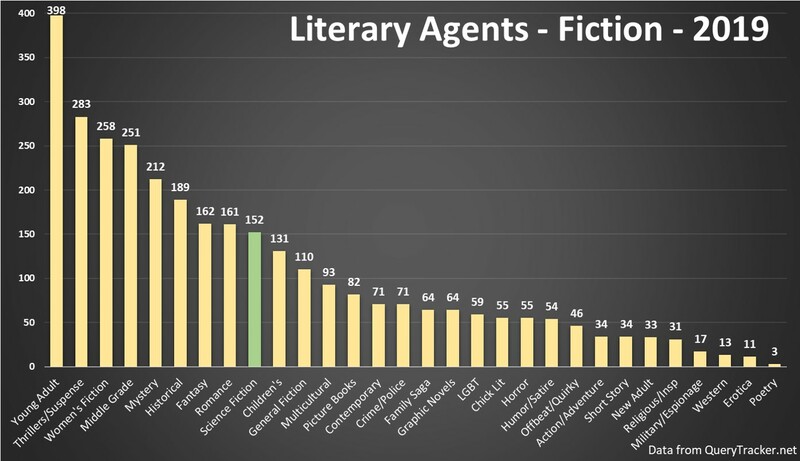 If you, like me, are searching for agents who are looking for Adult Science Fiction, you may assume that there are 152 places you can send your query. But there are two problems with this assumption. 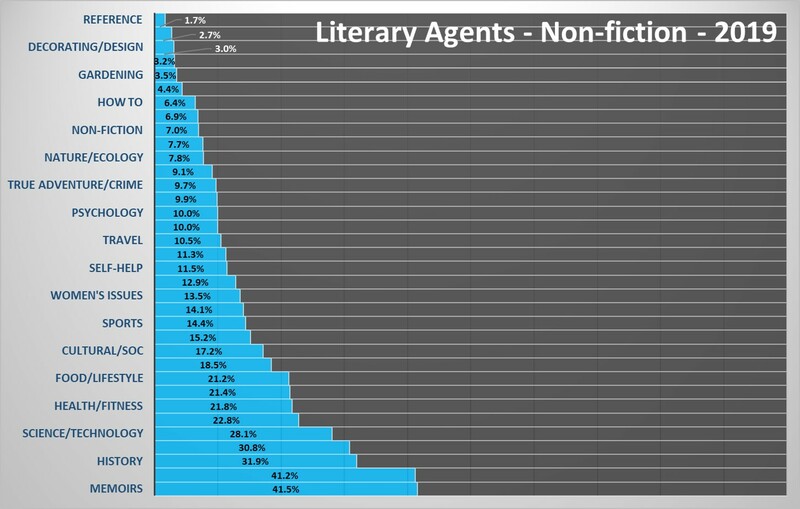 Based on the chart above, only 24% of the agents are open for Science Fiction and not Young Adult, or a total of 47 agents (out of 152). 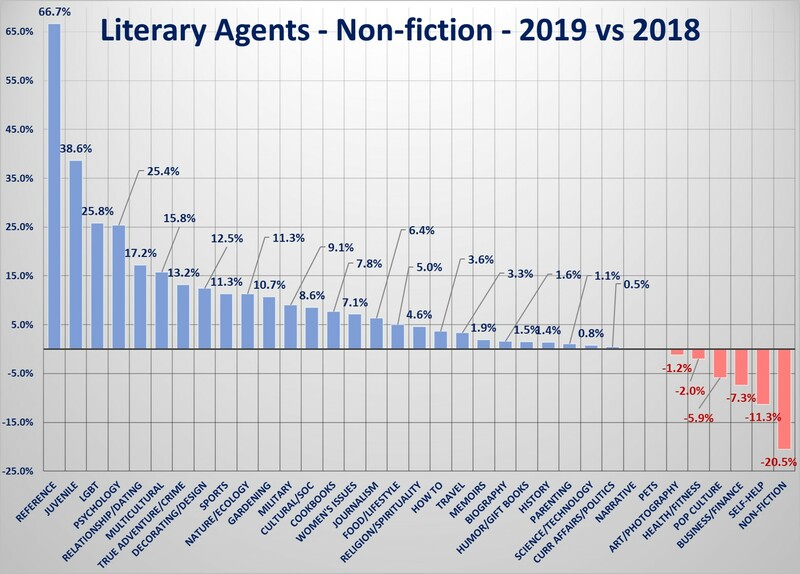 However, agents accepting both often are also looking for Adult Science Fiction, and the only way to know for sure is to go to the agent’s website. This is my third post in this series, and it’s getting harder to show the information. I’m trying this new format, where I only show the data label for the current year (2019). You can check the chart to see the trend. Click on the chart to see the original picture and have a better look. Young Adult is still the preferred Fiction genre since 2017, but it’s down 1% from 2018 and 5% from last year from 2017. The largest absolute gain is in Contemporary, followed by Historical, Multicultural, Family Saga and LGBT. 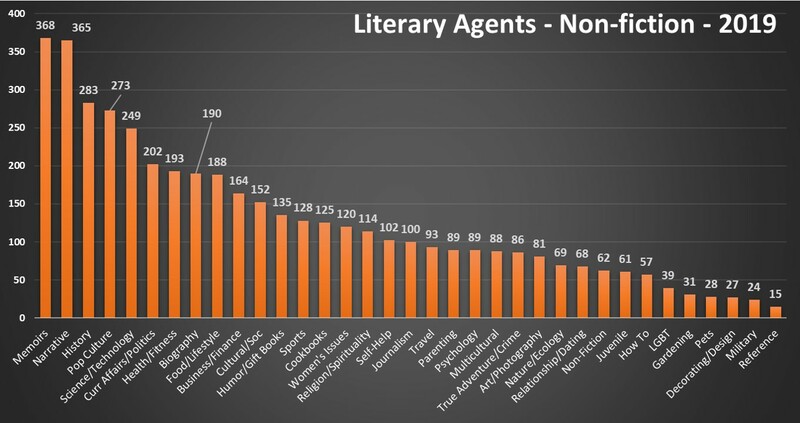 In relative numbers, Poetry gained 50% from last year – from 2 agents to 3 agents. Yay! Contemporary grew 39%, Action/Adventure 36%, LGBT 31%. The largest drops were in Romance, Middle Grade, Military/Espionage, and New Adult. But Erotica had the worst percentage drop: 21%. 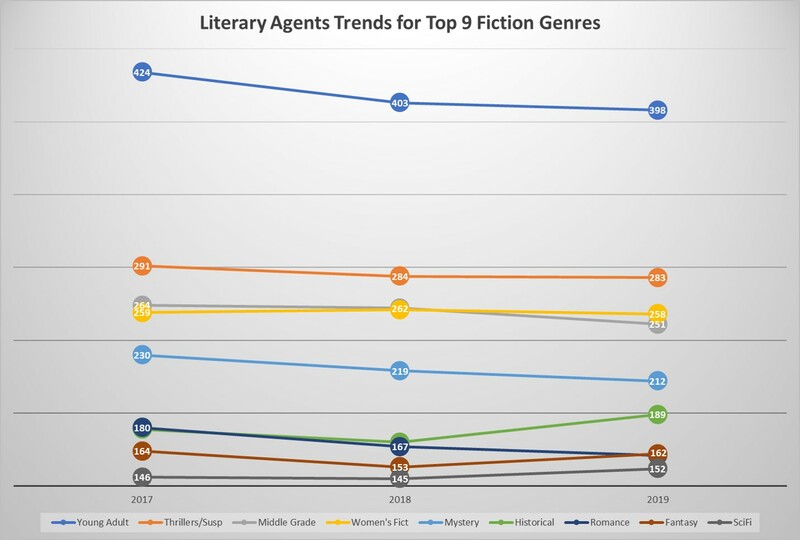 And here are the trends for the top 9 fiction genres. 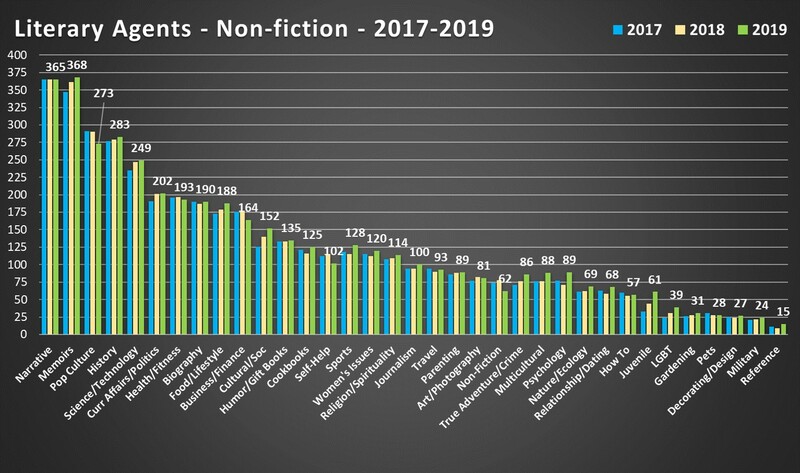 Memoirs took first place from Narrative in 2019, but barely. These two are the most popular non-fiction genres by a lot. They’re followed by History, Pop Culture and Science and Technology. Gardening, Pets, Decorating/Design, and Military are at the bottom, and I still don’t know what Reference is in this context. 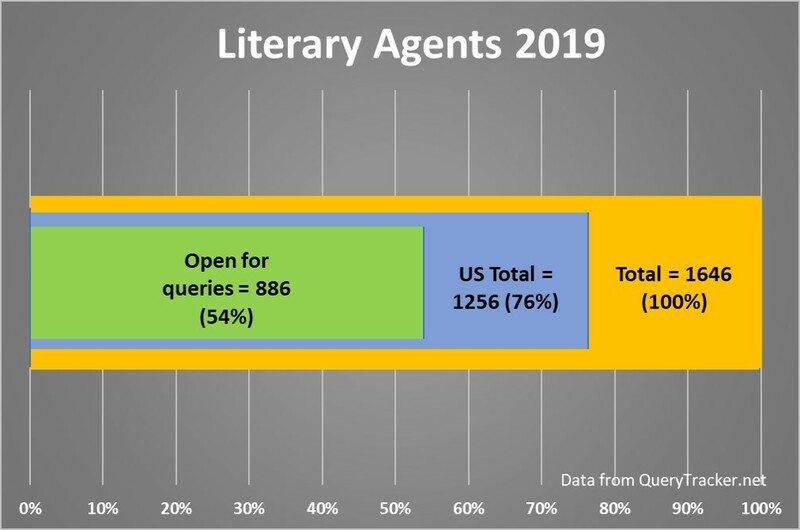 The picture below shows the percentage of agents open for queries that are accepting each one of the non-fiction genres. Only 41.5% of them are looking for Memoirs. Compared to 2018, Psychology and Juvenile had the largest absolute gain, each with 18 and 17 more agents in 2018 respectively. Pop Culture (-17), General Non-fiction (-16) had the largest absolute loss. Again, click on the picture for a better look. 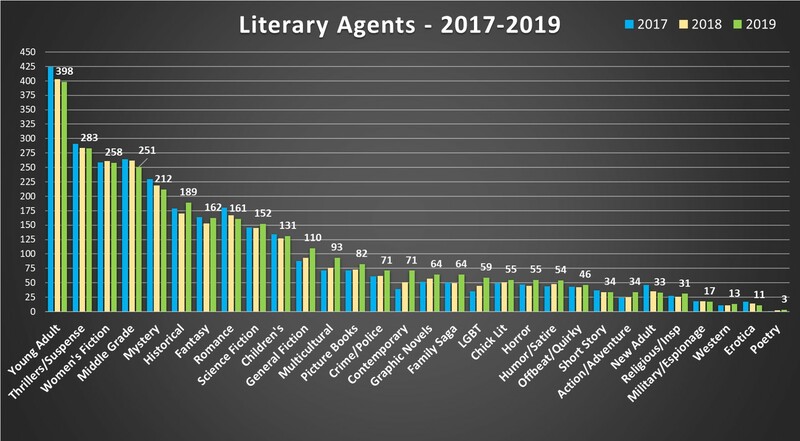 Percent-wise, Reference was through the roof, with 66.7% more agents looking for whatever it is, followed by Juvenile and LGBT had the largest growth. Last year, Reference,was down 20%, so it must be a volatile field. Business/Finance, Self-help and Non-fiction are at the bottom. Read the reviews for my debut novel! I so look forward to these posts. Well done, and so informative! You indicate there are 13 western agents but they aren’t listed on the internet – maybe they’re embarrassed. How can I find these 13 agents? Unfortunately, it’s down to 10 now (February). Here’s a few – you can find the rest on QueryTracker.Net. I do not know the methodology they used to figure out those genres. There are 4 more agents open for queries that accept Westerns (2 in Canada and 2 in the UK), total 14.